I moved to Houston in the mid 90's which happened to also be the golden age of brewpubs here (click here for a great history of Houston's brewpubs scene). Unfortunately, their popularity was short lived and one by one they all closed for one reason or another... except for Two Rows. I was a frequent customer of Two Rows and even have one of the mugs hanging above the bar. However, the quality and consistency of the beer started to slide and it finally came to the point that I just stopped going entirely. The food was always good and I loved the pizzas cooked in their wood-burning oven, but it wasn't enough to make up for the beer. Every once and a while I would get sentimental about the place and stop by, but then usually left disappointed. However, a recent post on the Houston Chronicle's Beer, TX blog indicated that a new experienced brewer was hired and things may be looking up for Houston's only brewpub (read Ronnie Crocker's post for more info about the brewer's past brewing experience). After reading the good news, I had to go check things out for myself and decided a Saturday lunch was in order. The first beer I tried was the new IPA, served in my own mug (I know, I should have got one in a clear pint glass so you could see the beer, but I was excited to actually be using my old mug again). 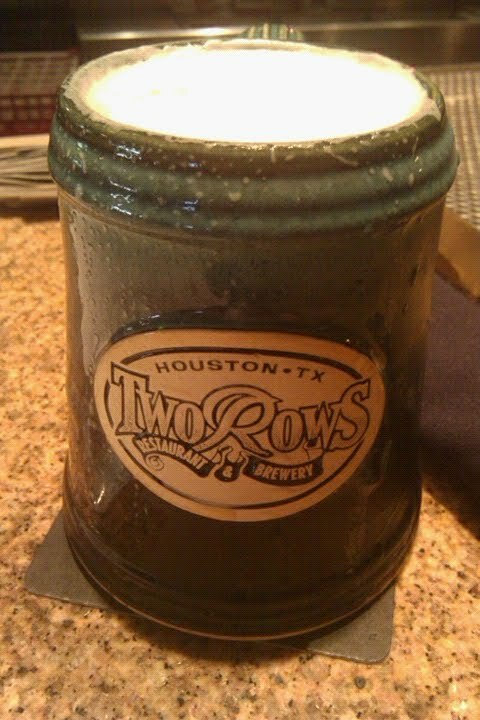 It had a nice hoppy floral and citrus aroma with a thick head that left a lot of lacing down the inside of the mug. Light malt flavours to start which were quickly overtaken by bitter citrus and pine. Finish is dry with a lingering bitter grapefruit aftertaste. A pretty solid IPA. The Dark Star Lager was the only other beer from the new brewer that was available. Once again, it was served in my mug so I couldn't really tell the colour but it looked dark and had a dark tan head. Smells of toasted grains and earthy aromas. Flavours of strong roasted malts with just a hint of coffee and cocoa. It was maybe a little sweet for my preferences, but another pretty solid release. 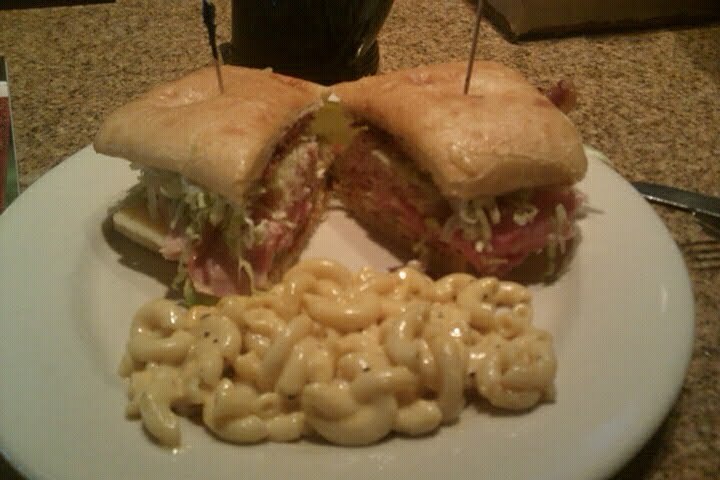 In case you're wondering, I had the California Club with the homemade Macaroni and cheese for lunch. I would highly recommend both. The club included their own honey pepper bacon and the macaroni was creamy and rich. I don't want to get too excited just yet, but I'm definitely looking forward to trying more releases by the new brewer. This is good to read. I too have been putting off a return due to a few bad experiences several years ago. Hopefully they still have my mug somewhere. I definitely recommend to try Two Rows again, just make you ask which beers are from the new brewer.